ID: 1205 ~ Source: Spring Training — Francisco Grande in 1962. 1962. In SF Giants Photos. February 2, 2014. Accessed December 8, 2016. https://sfgiantsphotos.mlblogs.com/spring-training-francisco-grande-in-1962-af5fe37f1d96#.2l46s9joo. 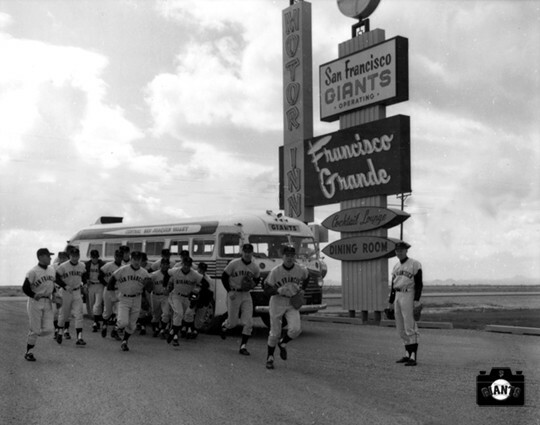 The San Francisco Giants arrive at the Francisco Grande ready to start their preparation for a grueling season.